The blog gives fans a behind-the-scenes look into the brand. PLANO, TX: Pizza Hut launched a global blog on Wednesday to tell brand stories and engage consumers beyond selling pizza. The Yum Brands chain wanted to connect with fans by giving them behind-the-scenes access to the company, said Marina Petro, senior associate manager of international communications and engagement at Pizza Hut. "PizzaHut.com is an ecommerce platform, and it’s not the channel for us to share what we do beyond the food that we sell," she explained. "We do a lot of great stuff with regards to giving back, career opportunities, our great culture, and our digital and tech innovations." In January, Pizza Hut hired Emily Heaslip as global content editor to help launch the blog. She was previously a student at Northwestern University, where she earned a Master’s degree in integrated marketing and communications. The blog is a collaborative effort across the communications, PR, digital, social media, and IT teams. Content includes photos, videos, articles, and lists about Pizza Hut, its employees, and its offerings around the world. The brand is also partnering with list, poll, and quiz site PlayBuzz for some content, said Heaslip. 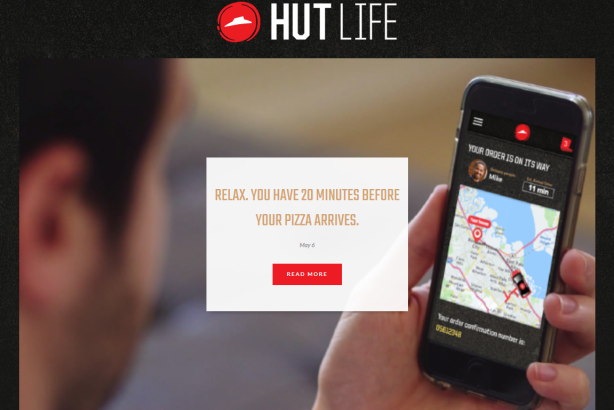 The site will allow Pizza Hut to tell stories from its associates’ voices "rather than feeling like another corporate messaging platform," said Petro. "Our hope is that as it grows, we’ll have contributions from across the organization," she said, "so not just people in [headquarters] but also team members, franchises, even supplier partners, influencers, and people in the pizza industry." Pizza Hut is driving people to the blog through its social channels. It is handling communications for the new platform in-house. Eventually, the pizza chain would like to add interactive sections for consumers where they can submit comments or ideas. "The intent of this is to share our stories and continue to draw people a little closer to our brand," said Pizza Hut PR director Doug Terfehr. "Historically, our customers have some affection for our brand because they grew up going to our restaurants, and this is enabling them to see the full scope." Elsewhere, Pizza Hut has been in the news this week because a woman being held hostage on Monday wrote a comment to the brand in her online order requesting help from police. A Pizza Hut employee in Avon Park, Florida saw the message and notified the sheriff’s office, which rescued the woman. National Pizza Day vs. National Bagel Day: Too much for Twitter users to chew on?